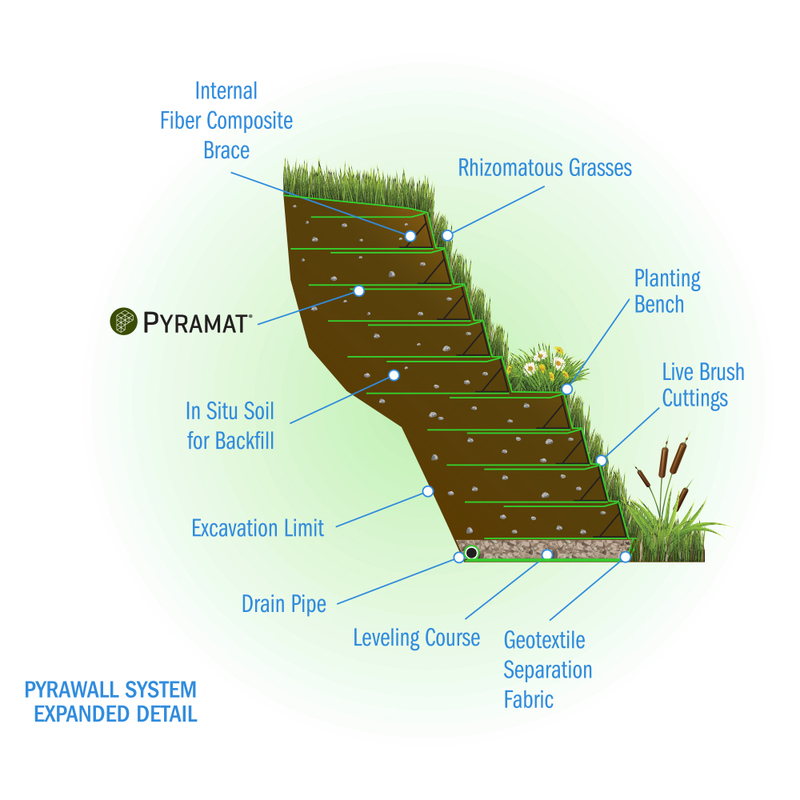 PYRAWALL® is an engineered wrap-face vegetated solution for constructing reinforced-earth walls and steepened slopes. 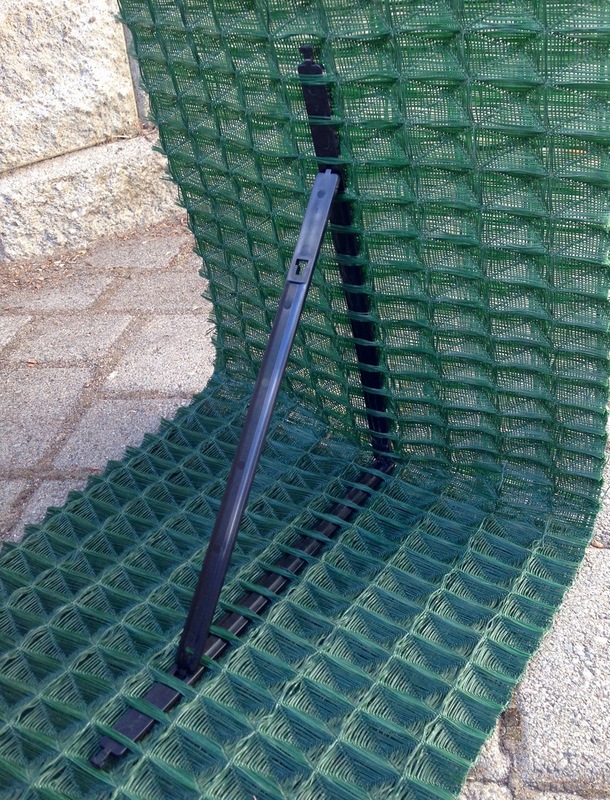 The system consists of PYRAMAT® 75 High Performance Turf Reinforcement Mat (HPTRM) and fiber-composite internal bracing. 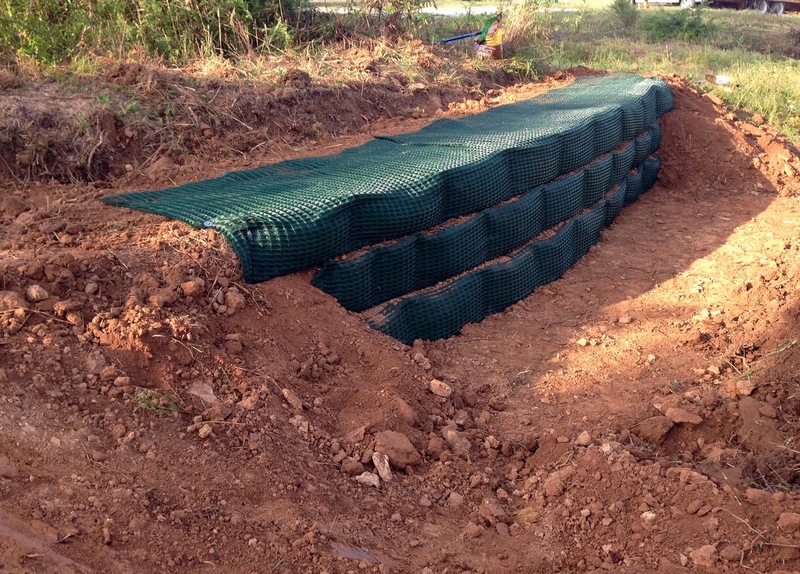 Featuring flexible setback and alignment, PYRAWALL® can be customized to unique site conditions and geometrics.